Want to learn more about the Safe Routes to School Program in Georgia? 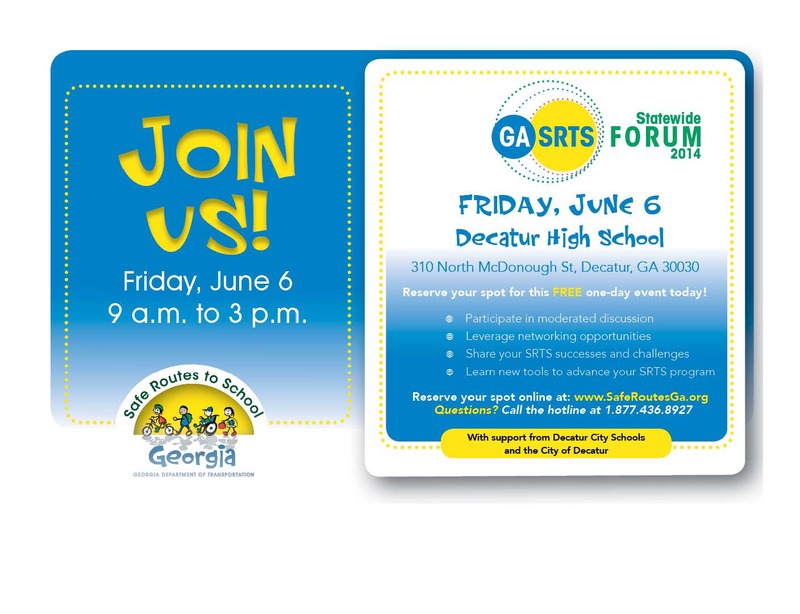 Attend the FREE forum this Friday, June 6 to be held at Decatur High School. Registration and information is here. Decatur will be well represented. We will be sharing ideas and getting new ones from our counterparts throughout the state.